Cities in Spain – 25 of the Best Cities and Towns to visit in Spain! There are many beautiful and fun places to visit in Spain, and each one offers its own unique set of attractions and sights. It is also a country of sun and delicious food. The Kingdom of Spain is located on the Iberian peninsula. On the west side, it borders with Portugal, on the north with France and Andorra and on the south with Gibraltar. Spain also includes the Canary Islands, which lie in the Atlantic Ocean, just off the coast of Africa and the Balearic Islands in the Mediterranean Sea. Spain is washed by the Mediterranean Sea from the east and the Atlantic Ocean from the west. Here we prepared a list of Cities in Spain – the best of them you will definitely want to visit! Barcelona is the capital of the Catalonia region, and it has many enticing attractions for just about everyone. Park Guell has many remarkable sculptural buildings, and Placa de Catalunya is another great place to go for intricate sculptures and artwork. Check our latest video here! And do not forget to give us a like! Barcelona has some amazing beaches with miles of sand that you can enjoy when the weather is warm, which usually is here in all of Spain. History, art, sports, beaches and nature… You can find all this and much more here in the city of Barcelona that is rising in the rhythm of Sardana. The city of Madrid is one of the best places to visit in Spain, especially for those who have a love and appreciation of history and beautiful architecture. Buen Retiro Park has been around since the 19th century, and it is known for its many impressive fountains. There is also El Escorial, which is an impressive renaissance palace complex. Madrid is the capital and largest city of Spain, and, at the same time, with its elevation of 667 meters above sea level, it is also the highest situated capital of the European Union. Granada’s Alhambra is a fortified hilltop Moorish complex that has some breathtaking architecture that you won’t want to miss while you are visiting this city. Located in Spain’s Andalusia region, this city has a number of historic landmarks. The Gate of Elvira is one of these incredible landmarks, and it used to be a gateway to the city. There is also a science park with a 50m observation tower. Segovia is an old historic city located northwest of Madrid, and it has many interesting attractions for tourists to enjoy. The Museum of Contemporary Art Esteban Vicente is a wonderful place to visit to view some incredibly pieces from master artists. There is also Alcazar of Segovia, which is a restored 12th-century castle that you can tour. Cordoba is home to some incredible architecture that can be seen all across the city. The Roman Temple of Cordoba is made up of old Roman ruins, and it is quite a stunning sight to say the least. Calahorra Tower is a medieval gate-tower and town museum that you should also try to see while you are here. This area has a lot of fascinating history that you all visitors will want to explore and learn about. Cuenca is home to El Cajas National Park, which has some of the most impressive scenery in the country. Museo Pumapungo is another excellent place to visit, as it has a culture museum and archaeological site that is perfect for history buffs. This is definitely a great area for those who love visiting museums, as there are many of them to visit. The De las Madres Conceptas is just one of the great places in this area to learn more about Spanish history. The city of Consuegra has some amazing rural landscape that is littered with towering windmills, and it’s the perfect destination for those who want a relaxing vacation. There is an old castle that you can walk through. The Saffron festival in October is truly something spectacular. This is a wonderful destination for just about anyone who wants a break from the hustle and bustle of the big cities. Windmills and old castle in Consuegra, Cities in Spain by manuel m. v.
Seville has some amazing scenery and historic sites that you will definitely want to visit while you are here. The Reales Alcazares palace and Cathedral are just two of the more impressive historic attractions that you should make a point of seeing. There is also the General Archive of the Indies, which is very impressive as well. Cáceres with about 80,000 inhabitants is located in the southwest of Spain, in the area called Extremadura. The city, which was listed as UNESCO World Heritage Site in 1986 has retained its medieval character throughout the years. The city’s squares and streets are full of medieval monuments to admire and you’ll find one day to be really short in here. The largest Spanish island of Mallorca has been one of the most popular summer destinations for a long time already. 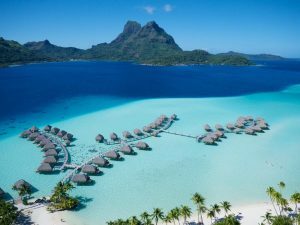 Every year there are about 12 million tourists who admire beautiful beaches here, perfect climate, ubiquitous nature and many monuments. Many of them are located in the capital, known as Palma de Mallorca, situated on the southwest coast. You cannot miss a city’s main landmark La Seu Cathedral thanks to its location in a city centre and dimensions of 121 x 55 meters. Ávila is located in the centre of Spain in the Autonomous Region of Castile and Leon. It is a medieval town that is famous for its amazing fortifications. The city is located at an altitude of 1,100 meters and among its most popular attractions are walls from the 12th century which are 2,5 kilometres long and churches. Ronda is a unique Andalusian city built on the edge of a 100 meter high gorge over the Guadalevin River. The Puente Nuevo bridge crosses this El Tajo gorge and connects the old and the new part of the city. In the new city, however, do not expect any modern buildings, it was built in the 18th century and its name is therefore rather relative. Ronda is a very popular tourist destination and uses to be really overcrowded during summer months. Gaudí is one of the most famous architects in the world and there are lots of his works spread throughout Spain. If you want to know other buildings than the Sagrada Familia in Barcelona, you can visit Astorga in the province of Castile and Leon. Astorga is an ancient city with remnants of fortifications and other monuments from ancient Rome. However, the history of the city dates back to the prehistoric times of the Palaeolithic, more than 200,000 years before our era. Pamplona is known for many things, including its numerous museums with historic artefacts and art pieces from all over the world. The Church of San Saturnino has some amazing architecture, as well as The Citadel fortress. There is a public park close to the fortress that you can stroll through to make the most of a warm sunny day. Those who travel to the port city of Malaga can expect to find a variety of museums with old historic pieces. The Museo de Malaga is an art museum located in a former customs house. There is also the Roman Theatre, which has a traditional theatre, amphitheatre, and monument. There are lots of places in this city where you can go to have fun while learning all sorts of interesting things about the area. 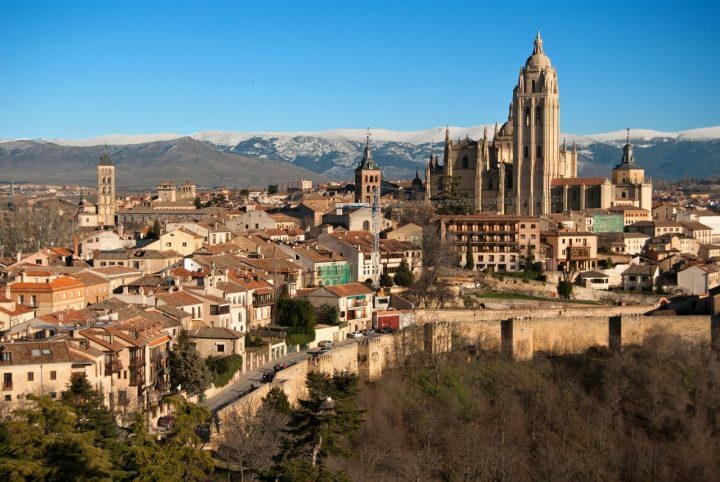 Burgos is located in the community of Castile and Leon, and it is a wonderful destination for history buffs. The Burgos Cathedral was built in the 13th century, and it is quite a sight to behold. The Museum of Human Evolution is another place that you should consider visiting, as it has some incredibly interesting and educational exhibits. The Castle of Burgos is one of the best historic sites to visit in this area as well. Santillana del Mar, also known as the Town of Three Lies, has a lot of interesting sights to explore. The National Museum and Research Center of Altamira is a fascinating place to visit if you want to learn more about prehistory and famous caves. The Santillana Zoo is the perfect place to go if you are travelling with children, and the beaches here are incredibly beautiful. Logrono has a number of incredible-looking old churches and museums that you’ll be sure to find fascinating. Ebro Park is a popular area in this city for those who want to relax in nature. The Museo de la Rioja is a wonderful museum that is packed with historic artefacts that will help you to learn more about this area and Spain as a whole. Jerez de la Frontera is a 3000-year-old town with beautiful medieval churches, old castles, and wine cellars where you can waste some of the best wine in the country. If you have a love of history, this is definitely the right place to visit. The Museo del Enganche is one of the best places to visit to learn more about the history of this area. There is also the Andalusian Flamenco Centre, which has some incredible live music performances. Huesca is known for its many incredible historic sites, including old castles and churches that will take your breath away. There are also a number of musical venues that have incredibly talented artists performing through each year. If you are a wine lover, you will find that the Somontano wines are truly something memorable. This is a great destination for a family vacation because there is something for everyone. Valencia has a lot of important and fascinating history for those who visit to discover. Those who want to relax in the sun will want to head to one of the beaches in this area. There are many museums here, including the Museu de Belles Arts de Valencia, which has some incredible pieces on display. The Torres de Quart’s 15th-century gothic towers are also very stunning and City of Arts and Sciences is something you’ll hardly find anywhere else in Europe, to say the least. The city of Bilbao has some of the most beautiful modern architecture in the entire world. The Guggenheim Museum is a huge building that houses some extraordinary pieces of modern artwork, and it’s a must-see for those who come here. There are also a number of great bars, cafes and restaurants that you will want to look into visiting before heading back home. Elche is known for being the world’s capital of palm trees. There are so many of them that you’ll never be able to count them all. There are approximately 11,000 palm trees in Elche and they were planted when the Moors ruled in Europe. Some of them are about 300 years old and in the 18th century, there were 200,000 palm trees. They are a unique preserved piece that documents Arabic agricultural practices in Europe. This is why The Palmeral of Elche was inscribed on the UNESCO Cultural Heritage List. But the town also has some of the most beautiful town centres in the country and is very close to the best summer holiday resorts such as Santa Pola which is one of the main resorts at Costa Blanca. Two universities, two cathedrals, palaces, monasteries, churches… The famous history of the city is visible at every step here in Salamanca. In the small area, you will find so many monuments softened with so many sophisticated details that it keeps you amazed from your arrival until your departure. UNESCO declared it World Heritage back in 1988. In 2002, it became also the European City of Culture. Salamanca is located in the eastern part of Spain, just a few dozen kilometres from the borders with Portugal. Girona is situated in the east of Catalonia, at the confluence of two large rivers – Tyr and Onyar. Thanks to lots of scenic streets and colourful, ancient houses that nest along both banks of the river, the centre of Girona boasts indeed a romantic atmosphere. Girona Cathedral, Museum of Jewish History, Sant Pere de Galligants, Cinema Museum or Church of St. Felix are just a few of many tourist attractions you will want to visit!